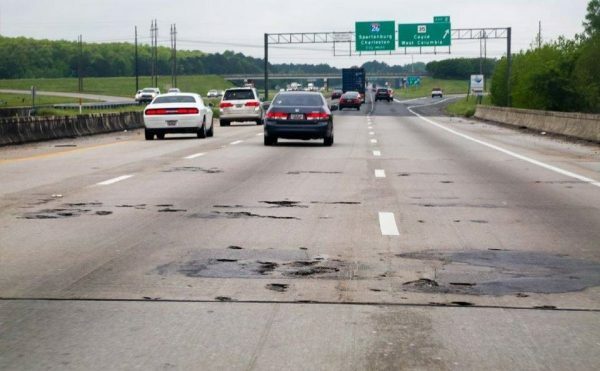 Most motorists have a few choice words to say when it comes to the condition of most South Carolina roads, but few fully understand just how much the poor condition of the roads is actually costing them. It’s estimated that drivers in South Carolina spend approximately $3 billion in car repairs that were the result of road conditions every single year. That works out to about each drivers spending $1,300 to fix the damage done by potholes and other problems year after year. The data was collected by TRIP, a national transportation advocacy group. When they collected their data, TRIP including things like elevated operating costs, congestion related delays, poor road conditions, and traffic crashes to determine how much South Carolina roads cost drivers. It’s the group’s belief that if South Carolina invested in improving traffic conditions, the state would not only have much happier drivers, but that they would also see a substantial increase in traffic safety, a decrease in the annual traffic rate, as well as some long-term economic growth. You should plan on spending even more time making your way to and from work. Trip says that since the state hasn’t managed to keep up with the ever increasing traffic flow, the amount of congestion and delays experienced by motorist has increased. The organization estimates that throughout the year, South Carolina’s traffic congestion costs motorists an estimated $775 million in both lost time and fuel. South Carolina road system makes liberal use of bridges which seems like a good idea until you consider that 21% of state’s bridges show significant signs of wear. Many fail to meet the design standards set by national transportation organizations and should be completely rebuilt. 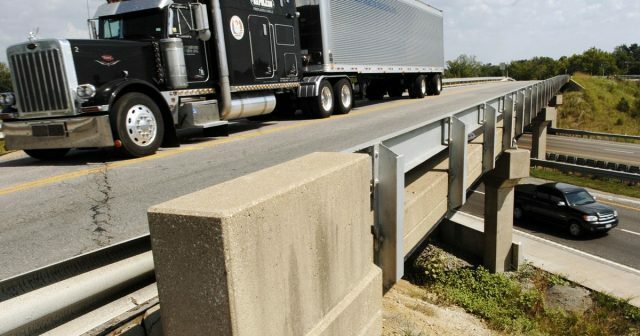 Most bridges have at least one problem which can include an inadequate amount of clearance, dubious alignment, pavement issues, or narrow lanes. When it comes to annual traffic fatalities, South Carolina reports some of the highest numbers in the state. The transportation department estimates that for every 100 million vehicles on the road, there will be 1.76 traffic fatalities. The national average is 1.13. 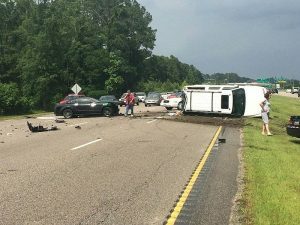 Anyone who frequently uses South Carolina’s rural roads is at an even bigger risk of getting into a wreck, were the average number of wrecks was 2.99 fatalities for every 100 million vehicle miles of travel. If you suffered injuries in a car accident, your attorney will help you take the steps needed to get the settlement you deserve. 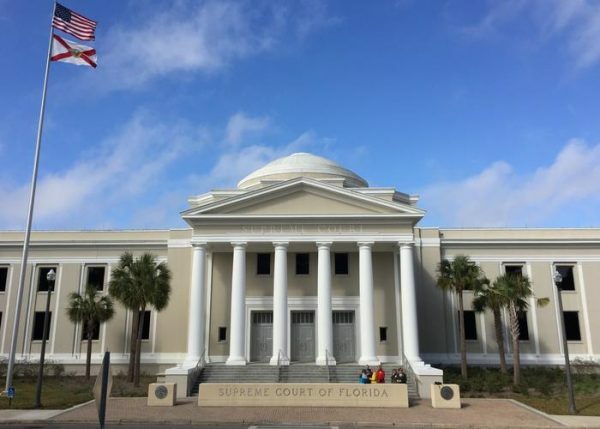 The Florida Supreme Court finds itself currently debating a medical malpractice lawsuit. At the center of the case is a woman who died after she hanged herself. The judges sitting on the Florida Supreme Court must now decide if her doctor was negligent. In 2008, Jacqueline Granicz committed suicide by hanging herself. Her husband was the one who took the legal steps that eventually brought the case to the Florida Supreme Court. He feels questions whether Jaqueline’s doctor at the time, Joseph Chirillo, fulfilled his “duty” of care. Last year, the 2nd District Court of Appeal agreed that the case should move forward, a decision that nullified the circuit court judge who had already listened to the details of the case and ruled in Chirillo’s favor. This wasn’t a only case of suicide. The 55 years old man has jump from a building and committing also a suicide and killing also a innocent pedestrian by falling on him. “In this particular case, this was a suicide,” Cole said. 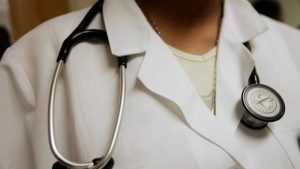 “This was not a standard medical-negligence case.” One of the Supreme Court Justices, Fred Lewis, was quick to point out that thanks to changes in technology and scientific advances, medical professionals now have a better understanding of both the human mind and types of psychiatric conditions. He wondered if these advances didn’t in fact increase the likelihood of being able to predict a patient’s suicidle thoughts, therefore making Granicz’s suicide a foreseeable death that might have been prevented..
Granicz was booked an appointment with her doctor on Oct. 8, 2008. She told Chirillo’s assistant that she was having multiple depression related issues which included mental strain, being emotional, and a few other issues that were triggering her depression. When Chirillo’s assistant called the doctor and explained the situation, Chirillo ordered some changes in her medications and said he was going to refer he to a gastroenterologist who would examine her for gastrointestinal issues. The next day, Granicz’s body was found. According to the paperwork filed by Granicz’s husband, he believes his late wife’s doctor failed to properly care for his wire. A circuit judge disagreed, and now everyone is waiting to see what the state’s Supreme Court will decide. It could take months for the Justices to reach a final decision. 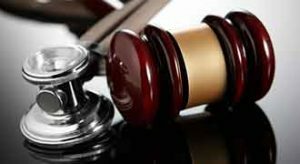 If you feel that you suffered as a direct result of your doctor failing to provide you with the best possible medical care, book a consultation appointment with John Bales Attorneys and we’ll take a look at your case. Train travel is widely considered to be one of the safest ways to travel, however accidents do sometimes happen. The most recent train accident took place when an Amtrak train crashed in California a year ago. More than 200 people were injured in the crash and 8 died as a result of their injuries. As the investigation continues, more and more details about how the accident took place have come to light. Now it appears that the high speed the train was traveling combined with human error are the reasons behind the tragic event. Just before the Amtrak train crashed, it appears that the engineer, Brandon Bostian had received a dispatch from another train which distracted him to the point that he lost track of his own train. Had it not been for the dispatch, it’s believed he would have been more aware of his surroundings and realized he needed to decrease his speed. At the time, Bostian’s train was traveling at a speed of 104 miles per hour, but the track curves can only be safely negotiated at a speed of 50 miles per hour. Amtrak has also revealed that had the train been equipped with a better positive train control device, the accident could have been avoided because the train would have automatically slowed despite not receiving any signals from its engineer. 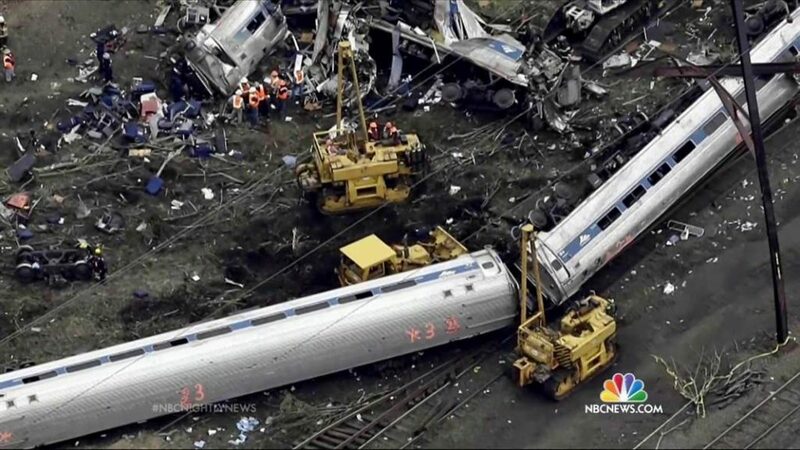 The National Transportation Safety Board also revealed that during the course of their investigation they learned that the train had “inadequate requirements for occupant protections in the likelihood of a train overturning.” As a result of these findings, Amtrak and the National Transportation Safety Board have put together a list of things that can be done to prevent a similar accident from taking place in the future. During the investigation, it was determined that gunshots had not been fired on the train. The engineer wasn’t using drugs or alcohol, nor was he speaking on his cell phone. This accident was the result of human error something that different equipment will help with. Prior to the accident, Bostian was an exemplary engineer who had a sterling work record with Amtrack. He suffered a concussion during the crash and as a result was unable to accurately recall what had happened in the moments just before the accident. He says he vaguely recalls hitting the brakes as they entered the steep curve, but that the memory is surreal. 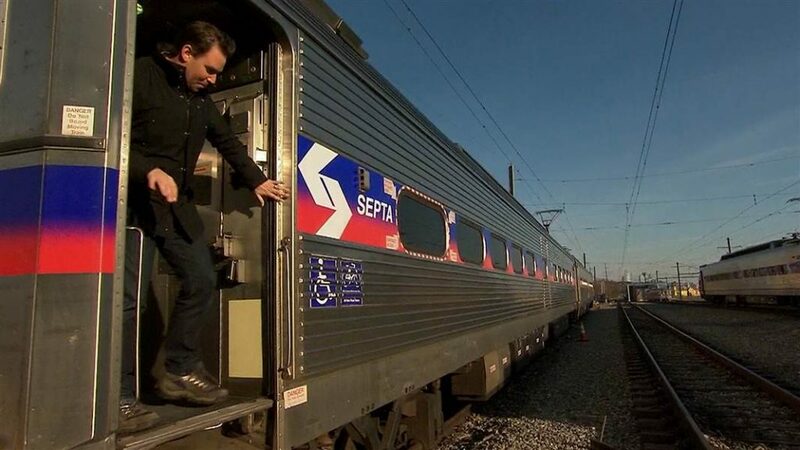 He does report remember hearing dispatches from the Southeastern Pennsylvania Transportation Authority train that had struck a rock. Even though the investigation into the accident is nearing its end, it will be a long time before the case no longer makes headlines. Now that the victims and their families understand the reason behind the crash, they can take the matter to civil court. If a settlement is reached, it can be used to help deal with the financial burden of medical bills, lost wages, and pain and suffering. Unexpected side effects linked to the drug Invokana have led to lawsuits all over the country. When taken orally, Invokana is a prescription drug that helps individual control their diabetes by prompting the kidneys to flush glucose from the bloodstream, which is wonderful, but many people have developed ketoacidosis as a result of the Invokana. Ketoacidosis is a condition where the body no longer has the insulin needed for the cells to process the glucose needed to create energy. Ketoacidosis is a potentially fatal condition. A Kentucky woman decided to file an Invokana lawsuit in 2013 after she developed ketoacidosis. She’s seeking a settlement that will cover both punitive and compensatory costs. The paperwork she filed states that she received inaccurate, false, or misleading information about the potential side effects associated with Invokana before she started using it. Ketoacidosis is a serious health condition that has sent many people into a coma, and been terminal in other cases. The condition makes it impossible for the cells to convert glucose to energy which prompts the cells to use fatty tissue instead. This causes the fat to release ketones which create acidic blood levels that can poison a patient if the normal blood pH level can’t be restored. Some people who have used Ivokana report kidney damage. Invokana is quite a new drug, it didn’t gain FDA approval until March 2013 at which point doctors were permitted to prescribe it to patients who suffered from Type 2 diabetes. At the time of it’s approval, Invokana was classified as a gliflozin drug. The severity of side effects that patients have experienced since they started taking Invokana has prompted them Invokana lawsuits all over the country with plaintiffs stating that the manufacture didn’t clearly communicate the potential risks connected to the disease. The FDA has been paying attention to the mounting complaints about Invokana. In mid-2015 they publicly announced that the drug can lead to a dangerous amount of acid in the blood. The organization reminded patients that this increased acid can trigger a coma and severely and irreparably damage internal organs. To patients already taking Invokana, the FDA suggested they watch for symptoms like nausea, irregular heartrate, and fatigue. It was at this point that the Invokana manufacturers had to strengthen the warning they included on bottles of Invokana. 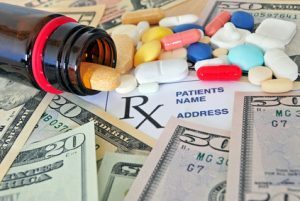 While the FDA’s announcement was a good reminder to patients currently taking Invokana to pay close attention to their health, it also prompted a surge of lawsuits all over the country as people suddenly realized that their medication was the trigger for a decline in their health. If you have been taking Invokana and have started to experience Ketoacidosis the first thing you need to get checked out by your doctor. Following that, you should book a consultation appointment with an experienced attorney and find out what your legal options are. If you decide to file an Invokana lawsuit, your attorney will walk you through the entire legal process and make sure all your rights are adhered to. If you’re looking for more information Invokana lawsuits, check out rxinjuryhelp. They have a wealth of information. Why Can’t Cruz Sue Trump for Defamation? As the political campaigns continue to heat up and opponents volley insults back and forth, some may wonder why those seeking the presidential nominations for their party aren’t involving New York personal injury attorneys into the fray. I mean, presidential campaigns get dirty and with all of that badmouthing and swagger, there’s bound to be some libel and slander, right? Plenty of stump speeches and debate monologues can sound pretty slanderous as one candidate tries to debunk another. And how about those campaign ads? Shouldn’t some of them be considered libelous? While some of the things politicians say about each other or what journalists publish about candidates might be cause for a defamation suit if the target was an ordinary civilian not running for elective office, it doesn’t qualify for defamation under personal injury law. Why is that? I mean, isn’t challenging someone’s right to run for president because of where they were born, saying they aren’t a citizen, or demeaning or misrepresenting another candidate’s record or values harmful to their reputation? Wouldn’t that qualify those speeches, comments, and campaign ads as defamation? Basically, there’s a higher standard of defamation that a politician must meet if he wants to claim someone is defaming his name. Which makes sense if you consider that defamation law might’ve been used as a way to dissuade people from disagreeing or arguing with public figures. Having to prove actual malice reduces the number of likely cases that make it to court and allows people to criticize politicians and public figures without fear of retaliation. Thankfully, most of us don’t have to meet that higher standard to find justice when someone has sullied our good name. If we have proof of slander or a copy of libelous literature or photographs, we are lucky that can enlist the services of a trustworthy New York personal injury attorney to help protect our reputations and seek damages. 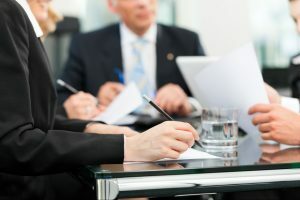 If your professional reputation has been injured by a rumor or verbal attack, it is important to seek help from a New York personal injury attorney as soon as possible. Defamation cases have a statute of limitation of one year. Consulting with a New York personal injury lawyer will help you determine whether you have a case and help you move forward to fix your good name. 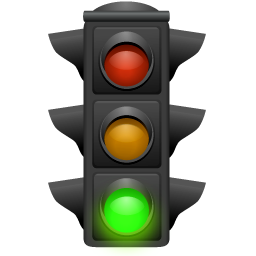 Running a red light is a common occurrence everywhere in the United States. Everyone has seen someone do it at some point while on the road. Sometimes they occur so frequently, it’s unsettling. How can anyone be in that much of a hurry that they can’t wait a few minutes for safety? That one person’s split second decision to run a red light, or even a yellow light, can have dire consequences for pedestrians and other motorists. 97% of drivers feel that other motorists running red lights are a major safety threat in the United States. Seeing people act irresponsively and make bad judgement calls on the road can be a very scary thing to witness. In Ocala, and other Florida cities, personal injury can happen to anyone, especially pedestrians. Even with the right-of-way, people are distracted. They aren’t looking at the light turning from yellow to red, and they don’t see the group of pedestrians walking in the crosswalk. This is when one devastating decision can cause injury or even death. $378 million was lost in costs due to red light running each month. That is the cost our society must find a way to pay for when these accidents occur. Many people don’t have insurance, and aren’t prepared for an accident to happen. People aren’t thinking about the person speeding through a busy intersection, even with the light turning red. We try to trust people driving past us as we walk along the road, but people must always be prepared for the unexpected, especially pedestrians. You have to always anticipate the car’s next move and be diligent when walking through crosswalks. Red light running has cost the American people big. In 2012, 683 people were killed and an estimated 133,000 were injured in crashes involving red lights. Most of these people weren’t looking to see if someone was running the red light. Many people are trusting and focused on what they themselves are doing, and not the people making split second decisions around them. These moments can have irreversible consequences for the unsuspecting victims. In Ocala, a personal injury must always be in the forefront of your mind when driving or walking in busy areas. At any possible moment, an unsuspecting person can be hit by a car, and then their lives are never the same. Always think ahead and anticipate what someone may do. This is especially true for pedestrians, but also for motorists as well. Motorists who choose to break the law have steep consequences, even for a first offense. 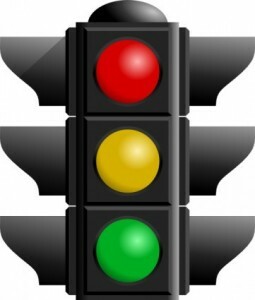 The penalty for running a red light or stop sign is around $125 and 3 points on your license. A red light camera ticket is around $158 and no points on your license. This is important to know, just in case you think you can make it through the intersection before it turns red, think again. If an officer doesn’t see you make a complete stop that’s another excuse for a ticket. Cities like Ocala and others in Florida have personal injuries occur every day. If motorists and pedestrians find themselves victims of a red light running crash, they must call for help to the authorities. Make sure you have a number to a law firm that deals with motorist accidents. Your personal injury could hurt a lot more later on if you don’t take care of it right away. So do yourself a favor and always be on the lookout for what others may do, so you don’t become a victim of a red light running crash. Copyright © 2019 Personal Injury Directory.